The countdown is on with our wedding (we're down to the 3-month mark! ), which means it's time for me to start playing it safe with hair and skincare. 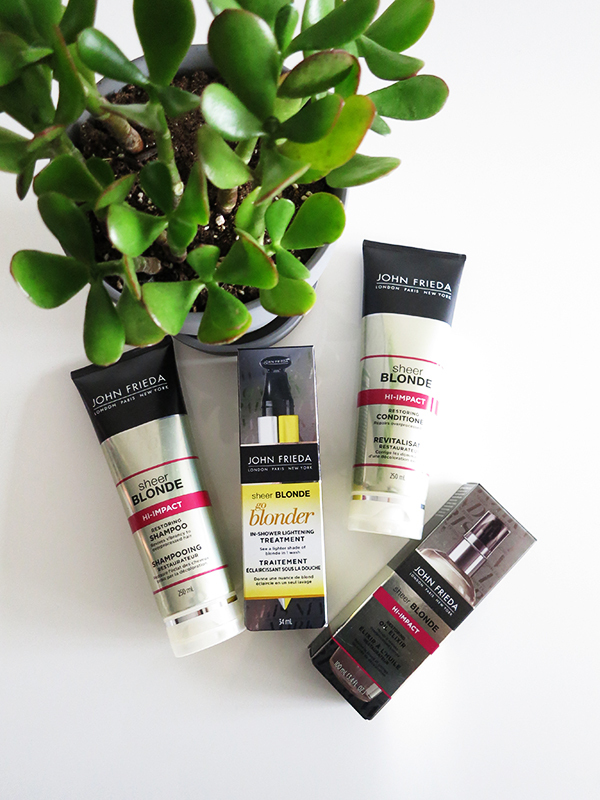 This is a bummer for a beauty blogger who loves trying the latest and greatest, but excellent news for you, dear readers, especially if you're intrigued by the newest John Frieda haircare collections. Read on for why these collections are so revolutionary and how you can win the one that best suits your hair colour desires! 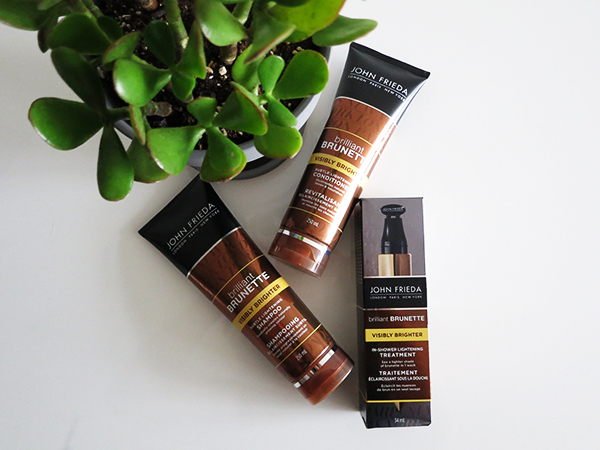 The ability to take your hair colour up or down a notch while in the shower is unheard of, but that's just what John Frieda promises with these three new collections. They work on natural or colour-treated hair and won't result in orange or brassy tones—just hair that brightens or darkens by a shade. It's a great at-home option for maintenance between salon trips, or giving locks a brightening or deepening boost with the change in seasons. 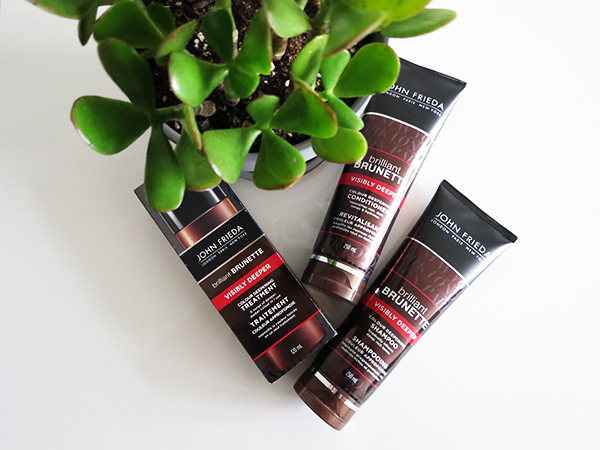 The John Frieda Brilliant Brunette Visibly Brighter line lets you take your brunette locks one shade brighter in just one wash. Use the entire tube of In-Shower Lightening Treatment and work into a lather in wet hair. Wait 5 minutes, then follow up with the shampoo and conditioner, which can be used daily. Take brunette shades to the sultry side with a daily shampoo/conditioner that deepens colour and adds luster. Once a week (or more, if desired), use the Visibly Deeper Colour Deepening Treatment in lieu of conditioner. Go one shade brighter in between salon touch-ups or for a special occasion with the daily shampoo/conditioner and the Go Blonder In-Shower Lightening Treatment. Since going blonde can result in damaged hair, these Sheer Blonde products are formulated to be gentle and nourishing on overprocessed locks; there's even a Restoring Oil Elixir. Do you want to take your brunette locks a shade lighter or deeper, or go brighter with your blonde? 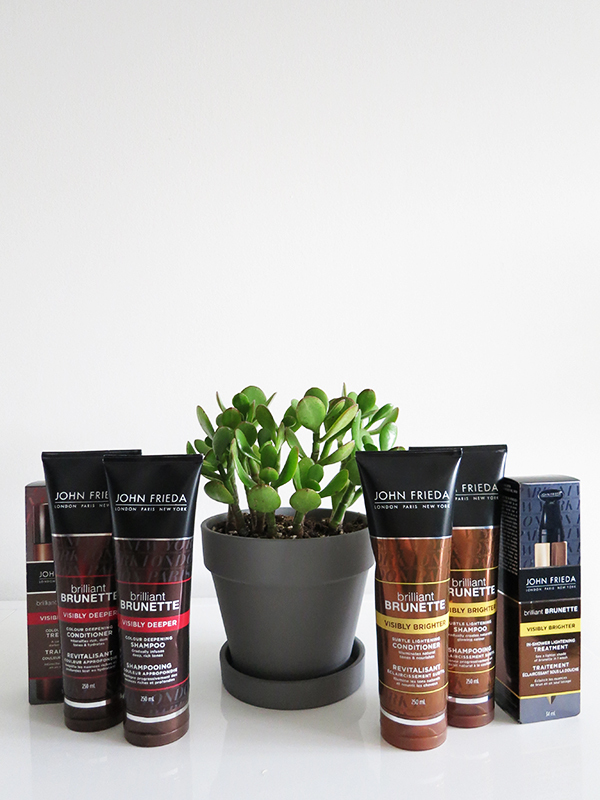 3 lucky readers will win a John Frieda haircare collection (as pictured above) for whatever their hair colour desire may be. All the details are below. Contest is open to Canadian readers only and closes Monday June 27, 12am PST. Good luck! I would like to have the Sheer Blonde Hi-Impact Collection. Would love to try the Sheer Blonde Hi-Impact Collection for that summery beach blonde look! The Sheer Blonde Hi-Impact Collection. I'd like to win the Sheer Blonde Hi-Impact Collection. I'd love to win the Brilliant Brunette Visibly Brighter Collection. This sounds like a great way to lighten my hair and have it look natural. Thanks for the giveaway!